Applying for your visa seems like entering a maze? Find the way out with our simple advice. Are you a foreign student and come from a country requiring a visa? To come study in Italy ask for an entry visa at the Italian embassy or consulate in your country of residence. 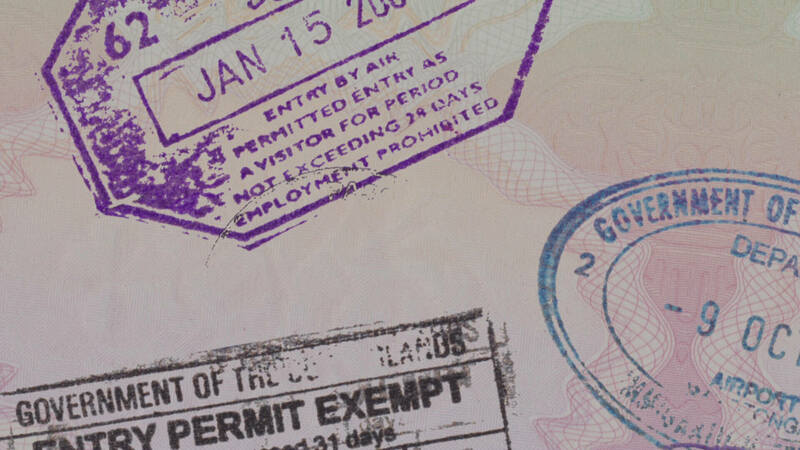 Within 90 days you will have a visa which will last for the length of your study period, or for a maximum of a year. Certificate which proves your enrollment at Accademia di Italiano, proof of full payment of the selected course, the number of hours of lesson attended each month and the starting and ending dates of the course. By law the course must be at least 80 hours of lesson/month, that is to say the length of our long-term courses. The document which proves that, for the entire duration of your stay in Italy, you will have housing (rental contract or declaration of hospitality), and enough funds available to cover the costs for your return to your country of origin. By the way, you know that Accademia di Italiano also helps you find accommodation, don’t you? Documents which prove that you can maintain yourself financially: you must have available an amount of no less than 910 euro for every month you will stay in Italy. You can demonstrate this with currency, bank or insurance guarantees (even third party guarantees), credit instruments, prepaid services, bank statements, or credit cards. Document which demonstrates you have the necessary funds for an eventual return to your country. The International Health Insurance specifically valid in Italy for urgent medical care and hospitalisations. If you already have insurance in your Country, you will have to show proof of the insurance coverage extension to Italy and the Countries in the Schengen Area. Otherwise you will have to take out the adequate insurance in your Country of residence or in Italy. As a student, you can request the Waitaly insurance policy, which is very convenient: you will pay 71€ for a six-month policy or 121€ for a one-year policy. Create your profile on www2.waitaly.net and pay online or by wire transfer. If your policy doesn’t have to start from today, but from the day of your arrival in Italy, choose the wire transfer option and insert your preferred start date in the description box. Remember that health insurance is also essential for issuing the residence permit. Notice: A visa is a document which only permits entry into Italy. It cannot be renewed, nor converted into another type of visa, like for example, a visa for work. Have you just arrived in Italy? The first thing to do after unpacking your bags is obtain your residency permit (permesso di soggiorno): you have 8 working days to request it. Go to the “Sportello Amico” at the post office and pick up the Kit used to apply for your first residency permit. The Kit is an envelope with a yellow stripe containing the application form and the instructions. Download a facsimile here. Pay 107.50 euro with a postal payment form and save the payment receipt. Bring the Kit to school, read the documents and instructions carefully and if you have any questions ask our secretary, who is there to help you. When everything is clear, get comfortable and start filling out the application form. Remember to use block letters and to fill out the appropriate gaps with a black pen. The form is written in Italian: if you find yourself in difficulty, we will fill it out for you. You just have to show us your passport and answer a few simple questions. A photocopy of every page of your passport + 2 copies with the stamp of the Italian embassy or consulate of the country of origin and the stamp of the date of arrival in Italy. A duty stamp in the amount of 16 euro (available at the tobacco shop). A copy of the original enrollment certificate issued by Accademia di Italiano (with the stamp of the embassy/consulate). The postal payment slip which is found in the envelope and which is needed to issue the electronic residency permit (The amount is 30.46 euro: pay it and keep the payment receipt). Proof of healthcare insurance enabling you to use the Italian national healthcare service (SSN). Private insurance policy from the country of origin, as long as there are no applicable limits on the cost of emergency hospital stays. An insurance policy from Generali Italia s.p.a. (Tel. +39063611676). If you have selected this policy, but you have not taken out coverage before coming to Italy, to request it, you can pay 49 euro (coverage for 6 months) or 98 euro (coverage for 12 months) directly at the post office. Use the postal payment slip with three sections and make it out to this account: Nr. 71270003, Generali Italia s.p.a. – Conto 20. Bring us the receipt, we will send a copy to the agency and you will receive a paper copy of the policy within a few days. Another type of insurance which covers the same risks and which is accompanied by a declaration from the company indicating the absence of limits on the duration and the costs of an emergency hospital stay in one of the structures of the national healthcare service (Servizio Sanitario Nazionale). 4 ID card photos (to be presented at the first convocation at the police station). Do not seal the envelope. When you hand it in, the postal employee will check that everything is there and will ask you to pay 30 euro for the procedure. He or she will give you a postal receipt on which you will find a User-ID and a password. You will need this information to check the status of your permit at www.portaleimmigrazione.it. It is on this website that you will be notified about the date to come and pick up your residency permit. Therefore, keep your eye on it. It may take several months to receive your residency permit. The Questura (police station) will ask you to appear at an appointment to pick up your permit and they will also make a digital copy of your fingerprints. Oh, bring all of the original documents which you used to apply for the permit. Regularly check the following websites www.poliziadistato.mobi and www.questure.poliziadistato.it/stranieri this way you will always be updated on the status of the procedure and on the date of your appointment. The last pieces of useful information : a residency permit for study allows you to have a part-time job of up to a maximum of 20 hours per week and 1,040 hours per year, and you can also leave Italy for up to 6 months. While waiting for the appointment in Questura, the postal payment receipt has official value, but it does not permit you to travel freely outside of Italy, or especially in other Schengen states. If your residency permit is not ready but you need to return briefly to your country of origin, take a direct flight or inform yourself about which countries outside of the Schengen area you can do a stop-over in. Are you a non-EU foreign student and you have decided to stay in Italy a bit longer than you had expected to improve your Italian? We will give you all the necessary information on renewing your residency permit. We want to help you remain in Italy. Here is some practical information about how to request a renewal of your residency permit. You are able to renew your residency permit for study without returning to your country of origin as long as the document was issued for reasons “of study- language course,” and as long as you are enrolled in a multi-year course. The renewal application must be in order to continue a course of study of the same kind for which you had obtained the original study visa. Therefore, if you attended an Italian course in any school, you will be able to enroll in a course at our Accademia and request an extension of your residency permit for another year. A copy of a certificate which proves you have attended a course and have passed an exam related to the course which is ending. Copy of the enrollment certificate for the new course. Duty stamp in the amount of 16 euro. Photocopy of the residency permit. 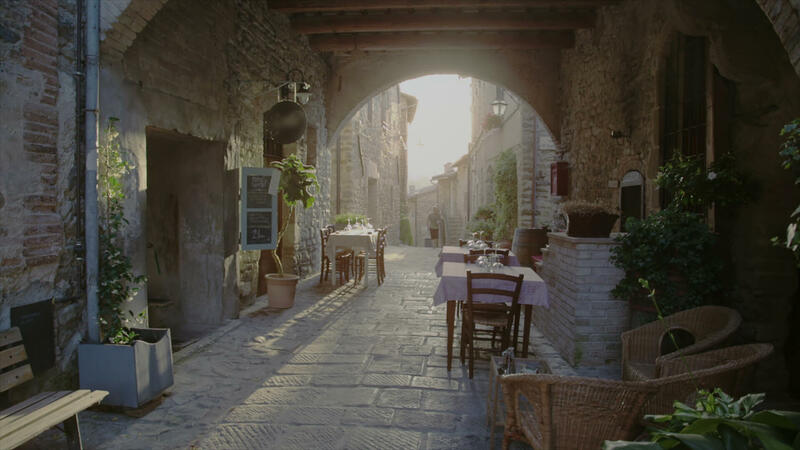 A declaration from your bank or a bank statement proving that you will be able to maintain yourself financially for the duration of your stay in Italy. Proof of healthcare insurance enabling you to use the Italian national healthcare service (SSN) (see the same point on the page for residency permits for more info). Copy of your codice fiscale (if you have one). Again, you will be asked to pay 30.46 euro to issue the residency permit and 30€ for the procedure. You will be given a receipt which will enable you to check on the status of your application and the date of the appointment in Questura. Health insurance is essential to gain entrance to and to stay in Italy. First of all, you will need it to obtain a visa. Then, when you have arrived in Italy, you will need it to get your residency permit; this will last only as long as your insurance. When your health insurance expires, you will have to apply for another residency permit. What you can do to obtain health insurance is make use of a private insurance company or enroll in the national health service, the so-called Servizio Sanitario Nazionale (SSN). If you decide to enroll, you will have a doctor of reference who will be at your disposal at no cost. And then, should you need it, you will be able to access the public health service by paying “tickets,” just like an Italian citizen. The enrollment in the SSN lasts for one year (from January 1 to December 1). Afterwards, you will have to renew it each year you remain in Italy. Using the national health service will cost you 149,77 euro per year. Go to the nearest ASL office or ask directly at Accademia. Once you are at the ASL office, ask for the banking details for the postal bank account for the regional SSN. You will need these to pay the annual enrollment fee. Go to any post office, ask for the postal payment slip for voluntary enrollment with the SSN, then fill it out and pay 149,77 euro. The receipt for the payment which you made at the post office. Your Italian tax code (codice fiscale). Your residency permit or the receipt that shows you have turned the Kit in at the post office. Letter of enrollment at University. Remember to show this because it will allow you to have a student discount. At this point the ASL office will give you the name of your new doctor and his or her office hours. You don’t know what a codice fiscale is? In Italy a codice fiscale (individual tax identification number) is an alphanumeric code which is used to individually identify for fiscal purposes those persons residing on Italian territory. This code is necessary for a number of things, like enrolling in the national health service (Servizio Sanitario Nazionale), opening a current account in the bank and signing a contract for housing. To obtain a codice fiscale, you have to go to the Codice Fiscale Office and fill out the application form. If you are a student coming from one of the states of the European Union, bring your passport with you. If, on the other hand, you come from a non-EU country, you will need to have both your passport and your residency permit. Want to buy a few things, have to pay your monthly rent or your family wants to send you some money? The easiest way to do so is to open a current bank account. You will be able to do so at any post office, or rather by contacting a bank. The conditions? You must have turned 18 years old, have a valid ID and a codice fiscale. Ok, you have finished our long-term course and now you want to enter the world of work. Present your application to work in Italy, based on the quotas which the Italian government offers to foreign students through the Decreto Flussi. Consult the website. At the moment when the Decreto Flussi is officially published, choose which type of permit you would like to convert your student residency permit into: permesso per lavoro autonomo (independent work permit), permesso per lavoro subordinato (dependent work permit) or other. Your application will be taken into consideration by the commission which evaluates the quotas for the year. We ask you to be patient. To have an answer, it might take from 7 to 10 months. Are you a student who comes from a state in the European Union? To remain in Italy for more than 3 months, you will have to be registered on the list of temporary residents and make a residency request at the General Register Office (Ufficio Anagrafe) in the city where you will attend your course with Accademia. Here is all the useful contact information. Office hours: Monday-Friday 8.30 – 15.30; Saturday 8.45 – 12.00. Office hours: from Monday to Saturday, from 8.30 to 13.30. Office hours: from Mon to Wed 8.30 -13.00, Thurs 8.30 – 16.30, Sat 8.30 – 12.00. Office hours: Mon to Wed 8.30 – 12.30, Thurs 8.30 – 16.00, Fri 8.30 – 12.30, Sat 8.30 – 11.30. Declaration of income and composition of household (family). If you do not have this document, you can always present a declaration issued by your bank. Rental contract for your housing in Milan plus the landlord’s ID card.